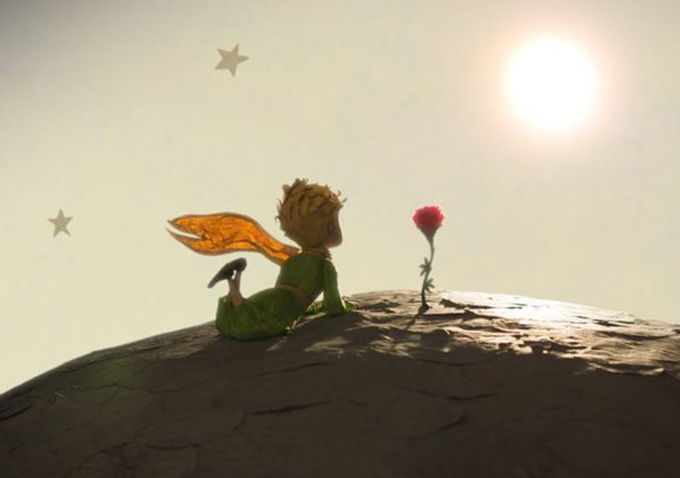 French author, aviator, and national hero Antoine de Saint-Exupery's book, The Little Prince, has been adapted in just about every way imaginable all around the world. There's even a Japanese anime of the classic children's story, along with stage plays, radio broadcasts, and comics. But a major U.S. adaptation has been a tough nut to crack, largely because of melancholic tone, adult themes, and its heavily allegorical style, which really isn't the kind of animation we do here for the most part. Hopefully that will change with the irresistible, moving animated film available now on Netflix, a long-developing labor of love that serves as a wonderful allegory about the joys of childhood and remembering them as an adult. A collaboration between American director Mark Osborne (Kung Fu Panda), screenwriters Irena Brignull (The Boxtrolls) and DreamWorks' Bob Persichetti, along with a good deal of French/Canadian cash, the film is a reflection of its international adoration. That said, this isn't a straight adaptation of the author's rather slim story, but an expansion partially set in modern times, effectively casting the familiar elements as a flashback. The narrative structure is weakened as a result, but the meshing of animation styles is seamless and enhances our overall joy, and the story of a little lost prince from a far-off asteroid will likely cause a few hearts to melt. 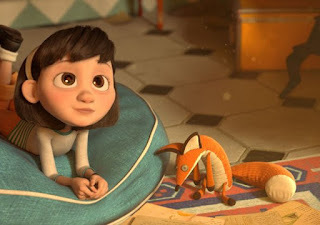 Boldly re-examining Saint-Exupéry's story in contemporary context, the film largely centers on a Little Girl (voiced by Mackenzie Foy) whose mother (Rachel McAdams) has planned out her life to an exacting degree. She's uprooted them into the perfect neighborhood and planned out a detailed daily routine right down to the minute in an effort to make this happen. Of course, the pressure is too much for the girl and she fumbles her way through an all-important interview at a prestigious Academy. An unexpected respite from reality arrives with her next door neighbor, The Aviator (Jeff Bridges), an eccentric old man who lives in a rundown carnival of a home with beat-up airplane in the backyard. The She finds some pages of artwork, telling the story of The Little Prince (Riley Osborne, yes the director's son) and how the Aviator met him in a desert. The Prince comes from a far away asteroid the size of a house, but here on Earth he's all alone, an odd, regal child with a flowing scarf and innocent sensibility just like the Aviator had as a boy. They become fast friends, and the Prince tells him of the many people he has met during his brief life: there's The Rose (Marion Cotillard), a vain flower that he has fallen in love with; the Snake (Benicio Del Toro), who is as devious as you might expect; the red Fox (James Franco), the Conceited Man (Ricky Gervais); the King (Bud Cort); and The Businessman (Albert Brooks), who buys up stars just for the sake of owning them. The Aviator's stories jumpstart the Little Girl's imagination, but of course adults keep trying to make everything so darn serious. The animation is polished and breath-taking in its detail, a real feat considering the vastly different styles used for each era. The Little Girl's tale is given the full Pixar CGI treatment, a purely American technique that most audiences here will be comfortable with and enjoy. 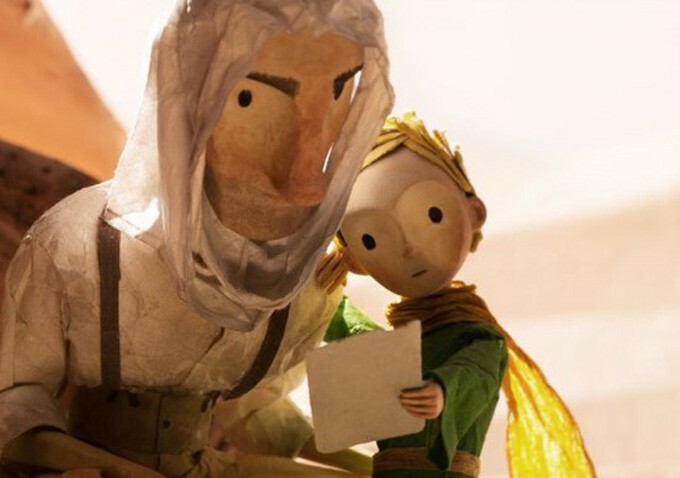 But the Aviator's journeys with the Little Prince are told in a beautiful combination of stop-motion and traditional techniques, which seamlessly meld into their dream-like adventures. 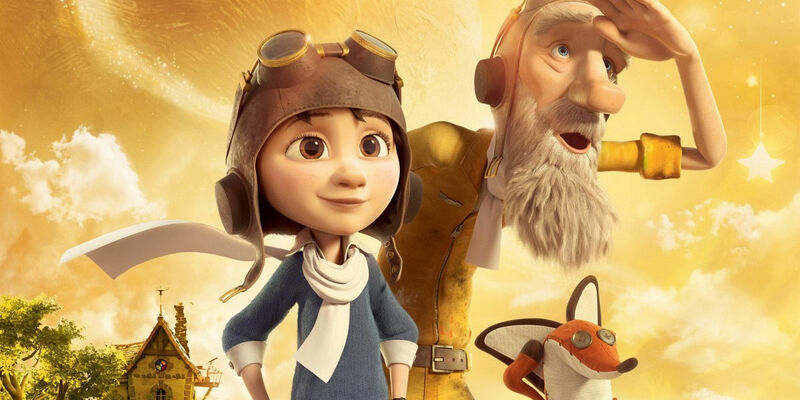 Saint-Exupery's core themes are never lost despite the contemporary context; rather they are enhanced by the Aviator's memories and the Little Girl's fresh experiences. These are ideas we as adults have all felt at one time, like the occasional yearning for the simplicity that comes with being a child. Saint-Exupery merely desired that we all remember what it was like before the pressures of adulthood mounted on us, and to not crush the spirit of those who have yet to succumb to it. A somber tone is struck throughout similar to the novel yet it's never truly sad, with the exception of a revelation that comes near the midway point. It feels appropriate, which is why the third act is a let down as the modern narrative really asserts itself as a spirited yet silly comedy, which is totally opposite of what the film had been. 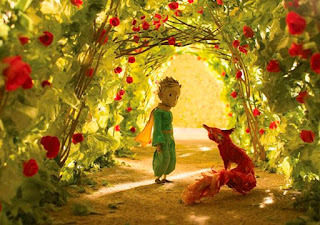 The introduction of an older version of the Little Prince (voiced by Paul Rudd) is a mistake, especially since he's depicted as something of a dufus. It doesn't connect as anything genuine, but like someone was scared there weren't enough laughs. The Little Prince doesn't need to have humor forced upon it; it's already funny, just in measured doses. What it has in abundance is heart, charm, and meaning, the kind that lasts for generations, just as Saint-Exupery's novel has touched the lives of millions for generations.